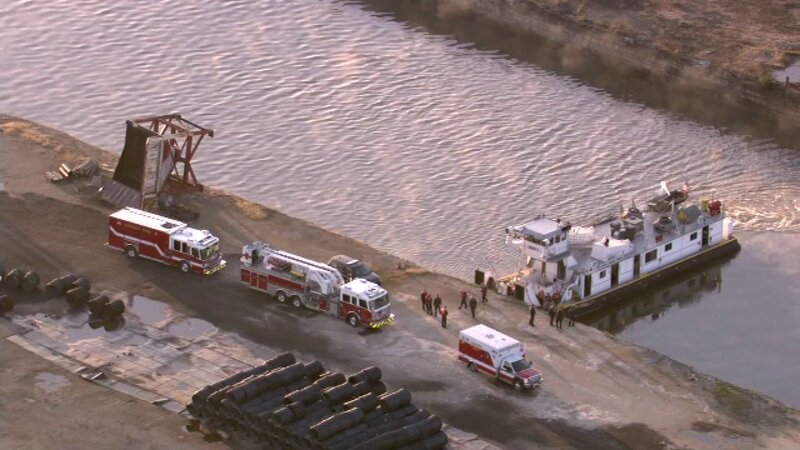 LEMONT, Ill. (WLS) -- Barge workers made a gruesome discovery Wednesday morning in the Illinois and Michigan Canal near southwest suburban Lemont. Police and firefighters were called to the scene around 8:30 a.m. receiving a call about a body floating in the canal near Donahue Road and State Street, just south of the Des Plaines River. Authorities are working to identify the body and determine whether foul play is involved.